These are so awesome! 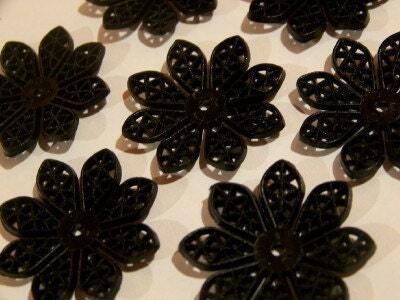 They are a vintage style lacy black filigree flower bead. These are very slightly cupped, they don't lay flat. They meaure 33mm and you will receive 4 of them. 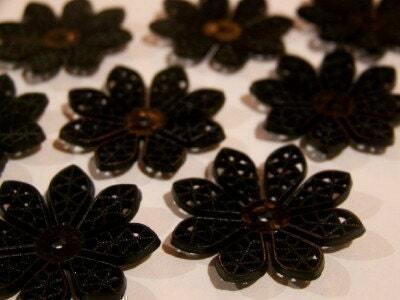 Thanks love these beads - will you get more? nice items - fast shipping - thanks!